First overfishing, then hydro dams. Lake sturgeon, Ontario’s largest and longest-lived fish, now belongs to one of the most beleaguered groups of animals on the planet. The soft-spoken biologist has collected hundreds of photos during his 15 years of studying lake sturgeon, Ontario’s largest and longest-lived fish. His picture of the fossil, however, adds an almost mind-boggling historical view to our discussion of sturgeon conservation: close ancestors of this formerly indomitable animal were swimming the world’s waters before the Atlantic Ocean was born, before birds flew and about 200,000 millennia before humans first appeared. They swam right through the great extinction of the dinosaurs and, despite volcanic eruptions, ice ages and other climatic calamities, have overcome every threat they encountered – until now. Sturgeon today confront a higher risk of extinction than any other non-insect animal in the world, says Haxton, citing the conclusions of a 2010 workshop of the International Union for Conservation of Nature (IUCN). Decimated by periods of overfishing and prized for their eggs, which are sold as expensive caviar, many sturgeon populations around the globe have been in free fall for decades. All 27 sturgeon species – including lake sturgeon – are on the IUCN’s Red List of Threatened Species. Two-thirds of these are considered “critically endangered” because their plummeting numbers or shrinking, fragmented ranges mean that the odds of this fish disappearing for good are “extremely high.” Four sturgeon species may already be gone forever. Which is why, Haxton says, conservation of Ontario’s lake sturgeon is so crucial. These fish are better off than many sturgeon species but have troubles of their own. In 2009, two of the three populations of lake sturgeon – the only type of sturgeon found in Ontario – were listed as threatened on the province’s Species at Risk roster. The other, most northerly population is considered of special concern. In the Great Lakes in particular, stocks of this now rarely seen fish never recuperated after an overzealous fishery a century ago reduced their numbers to a fraction of their former population. Meanwhile, human interference seems to be hampering their recovery. The worst culprits are hydro dams, whose number is expected to surge as the province pushes for more renewable energy (see “Waterpower,” facing page). All this only makes Haxton’s main point more significant: the lake sturgeon that live in at least 128 lakes and reservoirs and 101 rivers across Ontario (as well as sturgeon in parts of Quebec and Manitoba) represent “the last, good remaining stock of pristine sturgeon anywhere in the world.” They are, in other words, possibly the final hope for one of the oldest and most beleaguered groups of animals on the planet. Heron is referring to the Ontario government’s 2009 Green Energy Act and the guaranteed pricing for renewable power (the feed-in-tariff, or FIT, program) it introduced. The program made hydro development economically viable on rivers where these projects would have been unthinkable in the past. Since September 2011, 102 new hydro projects have applied for approval by the Ontario Power Authority (OPA), which administers the FIT program. 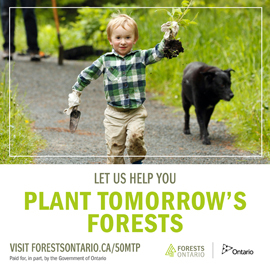 Although none of these projects have been built so far, as of September the OPA had given a go-ahead to 49 projects. The new ventures would mean that, within a few short years, the province will have significantly more than the approximately 200 waterpower facilities currently operating, which supply about a quarter of Ontario’s power. The industry argues that any environmental harm to the rivers will be minimal. “We are confident that Ontario’s very rigorous class environmental assessment will ensure any impacts from dams or other aspects of these projects will be carefully considered and minimized,” says Colin Hoag, a policy advisor with the Ontario Waterpower Association, an industry organization representing hydro companies. The alliance is not convinced. The group – which includes such organizations as Algonquin Eco Watch, Friends of Temagami, the French River Stewardship, the Canadian Parks and Wilderness Society (Ottawa Valley), Whitewater Ontario and almost a dozen others, along with many individuals – is concerned that the political push for renewable energy is putting pressure on the Ministry of Natural Resources and the Ministry of the Environment to overlook their responsibility to safeguard the integrity of Ontario rivers. “Rather than protectors of our environment, these ministries have become more like facilitators for industry,” argues Heron. This fall, the Ontario Rivers Alliance challenged the first environmental assessment (EA) completed for a FIT hydroelectric project – a generating station proposed for the Ivanhoe River about 100 kilometres west of Timmins. They have launched another challenge to a similar project on the Serpent River and a third is in the works. The group says the environmental safeguards for waterpower projects under the “class” EA guidelines tailored for the hydro industry are not demanding enough. It’s asking the government to require an independent (non-industry) EA that considers what the alliance hopes will be a wider range of potential environmental impacts. Hoag disagrees, arguing that the class EA provides ample protection for Ontario’s rivers. “We have a great assessment process,” he says. 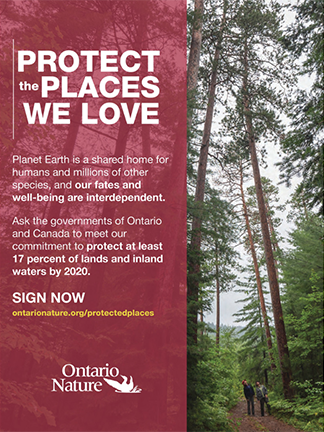 “Compared to a lot of other jurisdictions, Ontario is very progressive.” Ultimately, the Ontario Rivers Alliance wants the government to seriously consider the conundrum that being progressive about greenhouse gas emissions could mean other environmental concerns drift downriver without a paddle. 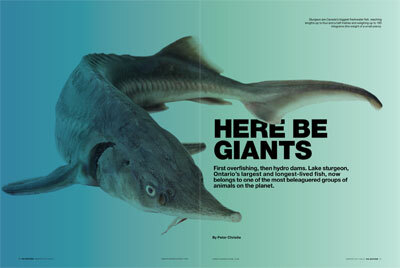 Almost 40 years have passed since Ontario ended commercial harvests of sturgeon in three of the four Great Lakes. (A limited fishery in Lake Huron and Lake St. Clair was closed in 2009.) In 2008, even recreational fishermen were forbidden to take sturgeon – if they could find them. Indeed, sturgeon became an uncommon sight in the province; in some former sturgeon rivers, none have been seen in years. For decades, even scientists seemed uninterested in the species. Then, last September – more than 100 years after the great decline – MNR completed an official recovery strategy for the Ontario lake sturgeon. The government has until summer 2012 to respond to the report. But nothing is easy about sturgeon conservation in the province – especially since the government continues to actively encourage the development of new hydroelectric dams, perhaps the greatest threat to the sturgeon’s survival. “Sturgeon are a big fish, and they’re highly mobile,” says University of Guelph biologist Rob McLaughlin. “If you put in a dam … you’re going to fragment the population.” Dams are widely acknowledged – including in the MNR recovery strategy – as one of the top reasons why lake sturgeon populations are in trouble in Ontario. Many sturgeon migrate long distances (more than 100 kilometres) upstream from their adult habitat to breed in shallow river rapids or at the bottom of falls. Typically, these are historical spawning sites, revisited year after year. Dams can block the migrants’ routes or spoil the fast-flowing, pebbly breeding beds on which the sturgeon depend. Some facilities even chop up adult fish or trap the downstream-drifting fry. Almost 200 waterpower projects already interrupt many Ontario rivers. This is a serious worry in light of what a long-term and tentative business sturgeon breeding is. The fish live up to 150 years, and females can take 33 years to become sexually mature. Even then, they spawn only every four to nine years. (Males mature somewhat earlier and spawn about twice as frequently.) As well, the potential mothers remain in spawning condition for only a short time, and they reabsorb their eggs if no suitable sites on which to deposit them are available. Nevertheless, dams are of most concern, if only because of the very real potential that the problem is about to get much worse. Two years ago – just months before lake sturgeon were added to the Species at Risk list – the Ontario government passed its Green Energy Act, partly in an effort to encourage more renewable power in the province. As of September, 102 new hydro projects had applied to take advantage of a guaranteed pricing program (the feed-in-tariff, or FIT, program). More are likely to follow: according to an inventory by the Ontario Waterpower Association (OWA), an industry group representing hydroelectric companies, 2,000 other sites across the province have at least the water-flow potential to support hydro dams in the future. Colin Hoag, a policy advisor with OWA, argues that saying that all dams hurt sturgeon is overly simplistic. “Each case is different,” he says. In 2009, OWA – with input from MNR, Fisheries and Oceans Canada and others – published a “best-management practices” guide to minimizing the impact of hydroelectricity generation on lake sturgeon in Ontario rivers. Although sturgeon have difficulty climbing dam “fish ladders,” such as those used in the United States and Quebec to help eels, other possible mitigation methods include managing downstream, sturgeon-friendly water levels, flows and habitat; physically trapping and transporting the fish past the barriers; or simply choosing to locate projects on other rivers, where their effects will be less disruptive to sturgeon. Lindsey Couillard remembers where she was in November 2007 when the luxury black market for caviar first made itself felt in the province. The conservation officer and investigations specialist with the Ontario Ministry of Natural Resources (MNR) was driving near Sudbury during a holiday when she got a call from an enforcement officer. The officer told her he had stopped an SUV in Espanola, north of Lake Huron, and the boat the vehicle was towing carried two large, eggladen female sturgeon caught in Blind River. And, he said, there was something else Couillard would be interested in: a cooler in the truck containing 18 pounds of fresh sturgeon roe. “That was when we knew for sure the trade was here, and there was an interest in Ontario for caviar,” says Couillard. Caviar, the unfertilized eggs of female sturgeon, is among the planet’s most valuable wildlife products. For decades, more than 90 percent of the world’s demand for the salty, delicate food came from the Caspian Sea in Eastern Europe. Recently, however, stocks of the six sturgeon species in that region have plummeted, partly because of a fishing free-for-all following the collapse of the Soviet Union. All commercially important Caspian species are now “critically endangered,” according to the International Union for Conservation of Nature, and in January 2006, the Convention on International Trade in Endangered Species of Wild Fauna and Flora (CITES) imposed a temporary ban on all caviar exports from the region. The failing stocks and the restrictions produced an inevitable result: caviar became a thriving enterprise in the international underworld. According to some estimates, the illegal trade was soon worth several times more than its $100-million-a-year legitimate counterpart. More relevant for Ontario, however, was the sudden attention being paid to the caviar of North American sturgeon. Lake sturgeon – a species at risk in the province – were discovered to be among the tastiest eggs on the continent, with a nutty flavour similar to the famous Osetra caviar of Europe. “We began to hear reports of problems in the United States, and that’s when we knew we had to keep our eyes open,” says Couillard. Instances of caviar poaching were occurring in California. A 2003 report by the conservation organization TRAFFIC warned that North American sturgeon populations would probably not survive if their caviar became a substitute for the faltering Caspian Sea variety. The danger to Ontario sturgeon was clear, Couillard says, but it was never allowed to develop into anything more than a threat. Following the 2007 Espanola arrest (the two fishermen involved were fined a combined $20,000), MNR decided the following July to close all recreational fishing for sturgeon (except for catch-and-release, which was closed in 2010). Another case of illegally taken sturgeon occurred in 2009, when three men near the Mattagami River were charged with catching sturgeon and stashing them in a nearby holding pond (presumably for later sale). And that was it. Tim Haxton supports McLaughlin’s central idea. At his brightly lit desk in the science section of the Peterborough MNR office, Haxton explains his current, multi-year sturgeon research program as a way to move discussions forward, by getting to the bottom of the complex relationship between sturgeon and river dams. Peter Christie is a Kingston-based science writer who remembers being introduced to his first leviathan lake sturgeon years ago by his late father and former Ontario coordinator of Great Lakes fisheries research, Jack Christie. And this is a case where one “species at risk” is essential for the survival of another “species at risk.” Sturgeon are the host fish for the rare and beautiful deepwater mussel, Obovaria olivaria, or Round Hickorynut, which has been wiped out by Zebra Mussels in most of the St Lawrence and the Detroit River, persists in the Ottawa River and the plume of Ottawa River water along the north shore of the St Lawrence downstream of Montreal, and has recently been discovered in the Mississagi River, flowing into Lake Huron. Surveys of freshwater Unionid mussels in northern Ontario are difficult and have been totally inadequate, so it’s vital to assess every Sturgeon population for associated Obovaria, as well as for its own sake, before anything is done to disrupt its life cycle. Those familiar with the [artificial] English names of freshwater mussels remind me that the current English name for Obovaria olivaria is simply “Hickorynut” (formerly “Olive Hickorynut”) and that “Round Hiskorynut” references Obovaria subrotunda, an Endangered species of southern Ontario rivers, which uses Darters as its host fish. There is no doubt in my mind that Lake Sturgeon is one of the most precious fresh water species that exists in our continent. Hats off to Ontario for taking the lead and halting recreational possession and non-native commercial fisheries. Although drastic measures to most, the message is clear. How could we live with ourselves if we were dragging this marvel of creation to extinction. I still have nightmares of the Adams Creek Massacre that still happens yearly. And now we want to allow all remaining river features that support lake sturgeon life cycle by DAMMING rapids and falls! Not to mention a modified run of the river operation that would fluctuate water flow daily making habitat for lake sturgeon and all the other species a stressful and difficult aquatic environment to live in. I am privileged to have observed many and touched hundreds through my life. There is a naturally friendly way to make contact with them, just follow me. I’ll show you. Thank you for a well written and researched article! Colin Hoag’s comment is contradicted by Gord Miller, the Environmental Commissioner of Ontario’s 2007-8 Annual Report, where he reports, “It would not be too forceful to say that Ontario’s EA process is broken…. We have lost the old vision for EA; a new vision is urgently needed”; and “A “no” decision is not a possible outcome.” I can assure you the EA process hasn’t gotten any better since this Report. The type of dams the FIT Program is encouraging with its 50% peaking bonus are extremely damaging to the riverine ecosystem, and will not just create a physical barrier to fish passage and spawning, but have numerous negative impacts on water quality, fish habitat and aquatic life. It’s articles like this that help the public understand that these types of dams are not green energy, but instead are dirty energy. Hydroelectric should not be included in the Green Energy Act. From the perspective of evolutionary success sturgeon will invariably be judged the more successful species compared to humans. 200 million years of evolutionary success compared to scarcely a measly the 100,000 or so years we could scarcely be differentiated from a neanderthal. It would be a shame for such an upstart species with such a questionable tenure on the planet to undermine the sturgeon and millions of other species that have stood the test of time and natural selection. Good article. Living in northern Michigan, USA, I have had the rare opportunity to see spawning runs of this magnificent fish in the Black River in northeast Michigan. As a member of the Black Lake chapter of Sturgeon for Tomorrow, I participate each year in a guarding program to protect the fish from poaching during their spawning run. A study of the lake sturgeon is being conducted on the Black River and Black Lake by MSU, with support from the DNR, Sturgeon for Tomorrow, and sportsmen from Michigan and surrounding states. We must not lose this great fish. As an angler of four decades I want to thank everyone for their efforts on conserving sturgeon. I find it disgusting and disturbing that Northern Ontario lodges still promote lake sturgeon fishing for clients as well as fishing programmes and magazines that feature White sturgeon fishing. We will be lucky if we have sturgeon on this continent in 20 years time so why not drop the bravado and help conserve and preserve them?